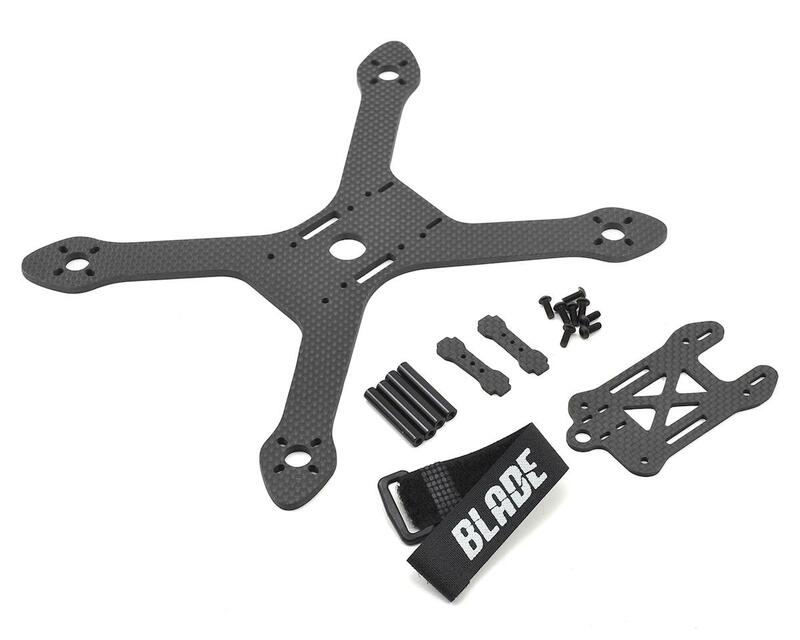 The Blade Theory XL Kit is a racing drone frame made from premium carbon fiber materials. 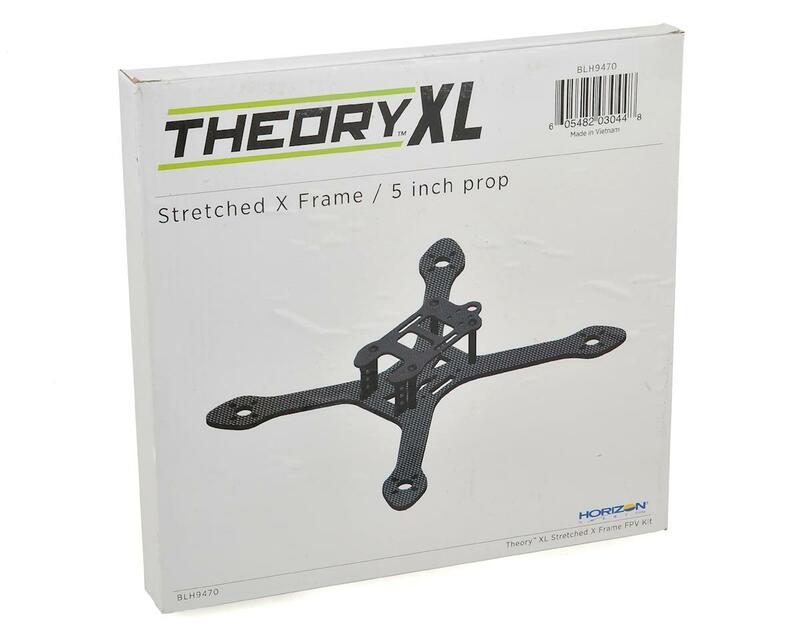 The frame features a "stretched X" design that delivers flight characteristics perfect for FPV racing, with increased stability while pitching and flying fast forward. 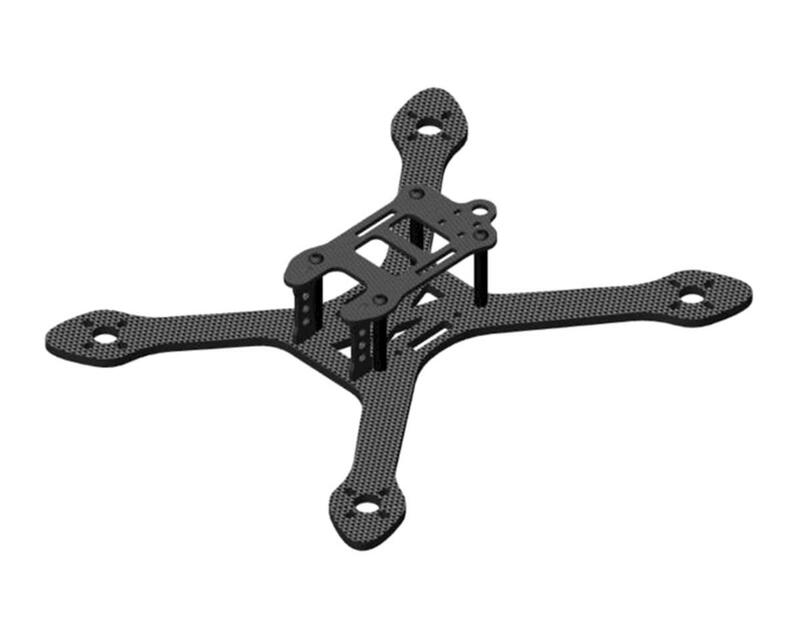 The main plate is made from durable 4mm carbon fiber and offers the lightweight durability that every FPV Racer desires. Weighting in at under 80 grams, the complete frame sheds all necessary weight without sacrificing durability and space. The bottom plate features cutouts to run the battery strap below the quad and reinforced arm tips to protect the motors in a crash. Industry standard 30.5mm standoff cutouts are also present to mount nearly any power distribution board or flight controller. 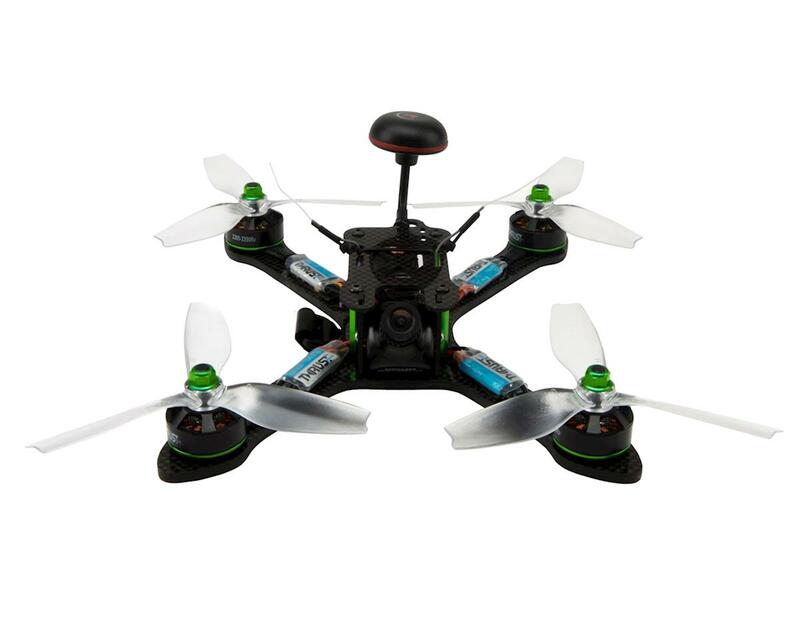 The 30mm standoffs that separate the bottom plate from the top offer plenty of room to mount electronics such as receivers, video transmitters, or lap timing systems in addition to the flight controller and power distribution board. Additionally, the top plate has patterned cutouts that allow for easy access to nearly all video transmitters. Two vertical pieces of carbon fiber create a versatile and durable camera mount that offers 0 to 90 degrees of tilt, perfect for HS1177 style cameras. Motor mounting holes can host a variety of dimensions, from 16mm to 19mm motors. NOTE: Completed kit shown for illustrative purposes only and is not included. Package includes frame kit only.